PIE Lab Portraits: A collection of gifs from PIE Lab, a space for Artist Educators to define what they do, discover best practices and learn from one another. 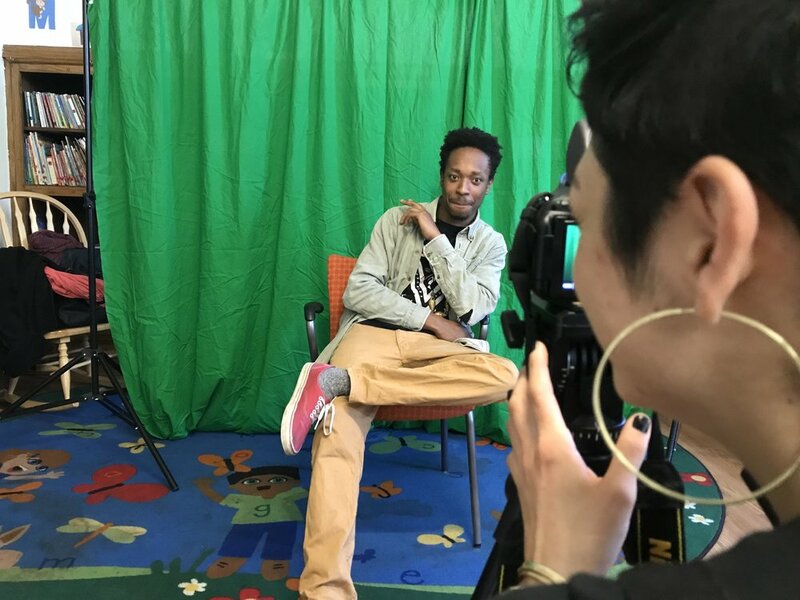 These portraits are showpieces for Making for Connection, one of PIE’s primary practices in using media making to build relationship. We created PIE Lab Portraits over the course of two “opening sessions” to kick off our mornings during October’s intensive training. We started with the backgrounds and then moved on to photographs. 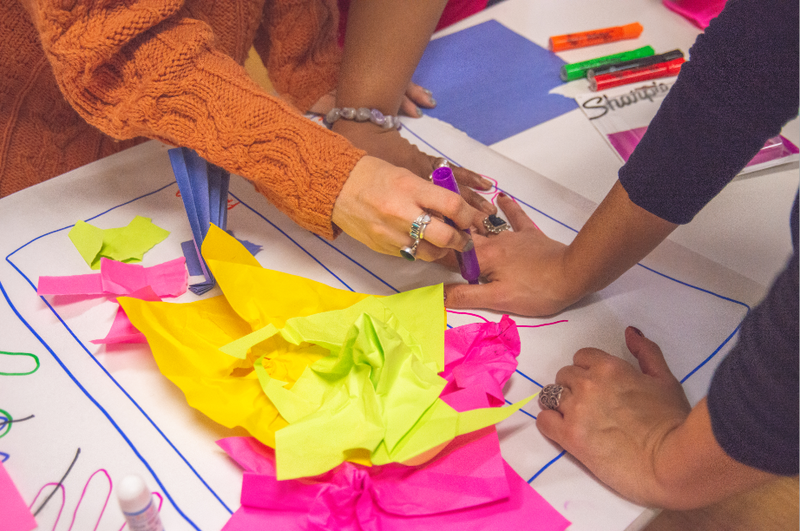 We created the backgrounds on day one, using colorful paper, markers, scissors, glue, etc. to create a color field that answered the question How do you feel at the moment? Then everyone found a partner with whom to share about our pieces. On the second morning we used a camera and green screen to take portraits of each other. Before jumping in, we reflected on the images we made the day before, taking notes on lessons learned and successful practices. We also introduced the idea of adding portraits as a new layer to the color fields. What do we look like today compared with how we felt yesterday? Then, given the same materials and prompts, we talked with a partner about our pieces and took portraits of each other. From there, our team of interns completed the final step of editing the images and transforming them into gifs. The results are fun, colorful and energetic portraits that tell a staccato story of those creative October mornings. At PIE, we use media as a vehicle for connection, connecting people to themselves and the world around them. These gifs are a beautiful example of that, in both process and product. Each portrait vibrates with the energy of the conversations that happened in the making, and the roughly cut paper arranged in the background give insight into the people who created them. Making for connection keeps the artists and the process visible, inviting you, the viewer, to be curious, connect and reflect. Take a look.